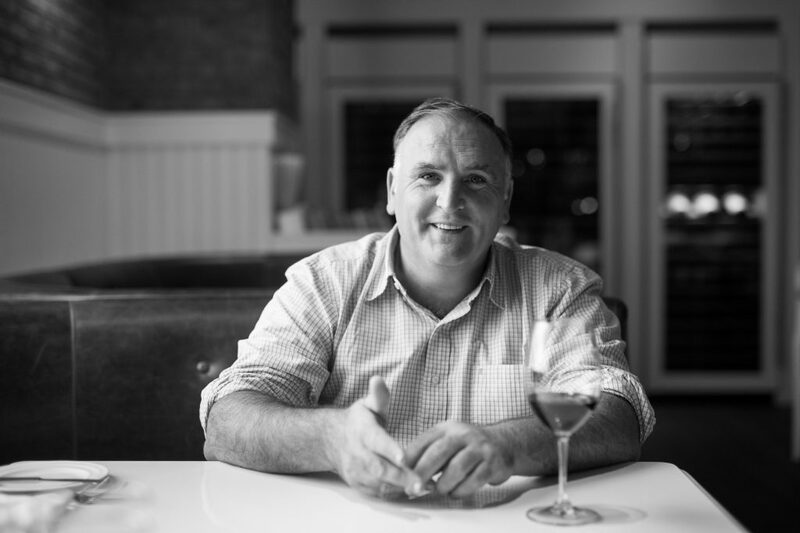 Michelin-starred chef José Andrés has opened Zaytinya Restaurant, the newest addition to The Star. It’s become one of the most highly anticipated restaurants of 2018. We’ve been hyping it and its promised mezze-style menu for about a year. 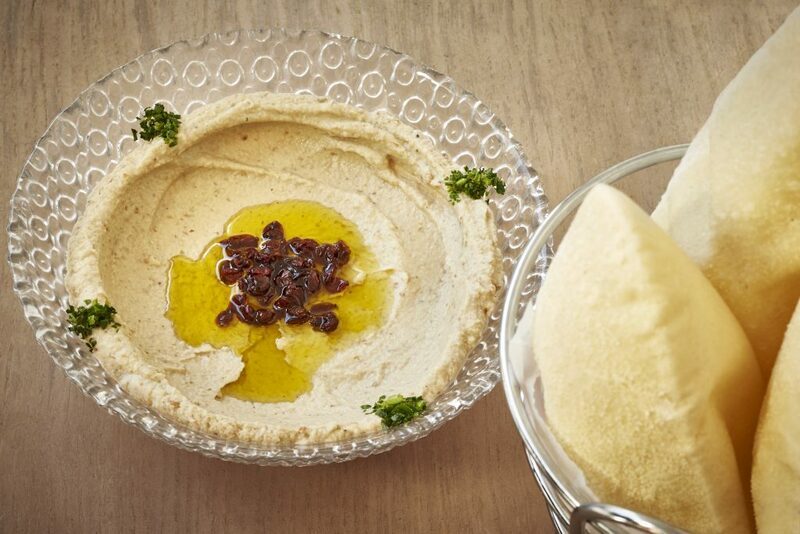 Zaytinya, sister to the original in Washington D.C., serves Turkish, Greek and Lebanese flavors at their finest. Chef Andrés is the biggest name behind Zaytinya, but not the only one. There are a few other guys you should know about: Local Executive Chef Jon Thompson and Concept Chef Michael Costa. Costa, from the Washington D.C. location, is helping oversee the new opening, and Chef Jon Thompson will spearhead the Frisco operation. They’re working together to recreate all of the dishes Zaytinya’s original location is so well known for, and adding a few new Texas twists. For example: “You can’t be in Texas and not serve beef,” Chef Thompson says, but that’s one of his only hints about how he’ll be Tex-ifying the menu. 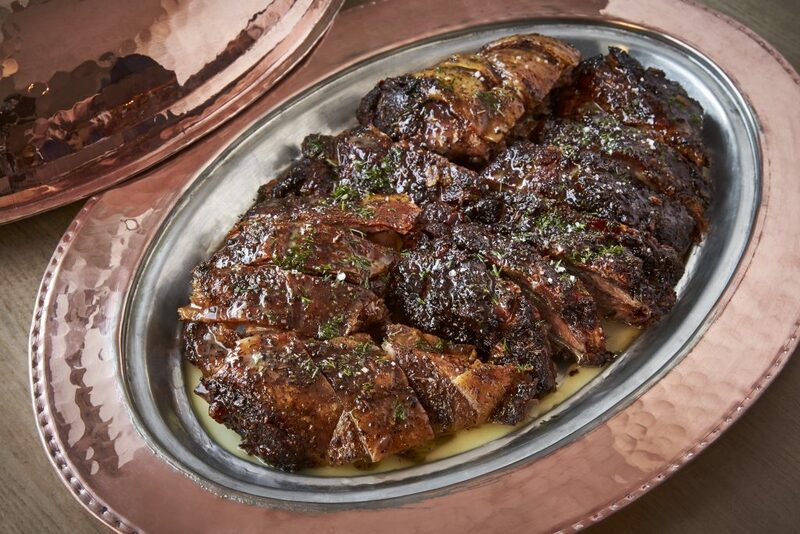 Chefs Thompson and Costa also point out one of the restaurant’s most exciting features: the custom-made rotisserie. Along the back wall of the restaurant is an open kitchen where guests can see wood fire ovens, but its the rotating spits that dominate the space. Look over and you’ll probably see hunks of lamb turning slowly. This feature is unique to Zaytinya in Frisco; in fact, you probably won’t see anything quite like it anywhere else. If you come to Zaytinya, you’d better be prepared to share. That’s the whole idea behind it. The menu is comprised of small plates–kebabs, dips, tasting platters–all served with pita bread. Almost the minute you tear off a slice of pita bread, the staff is setting another down at your elbow. Bread is as essential to the Zaytinya experience as plates are. 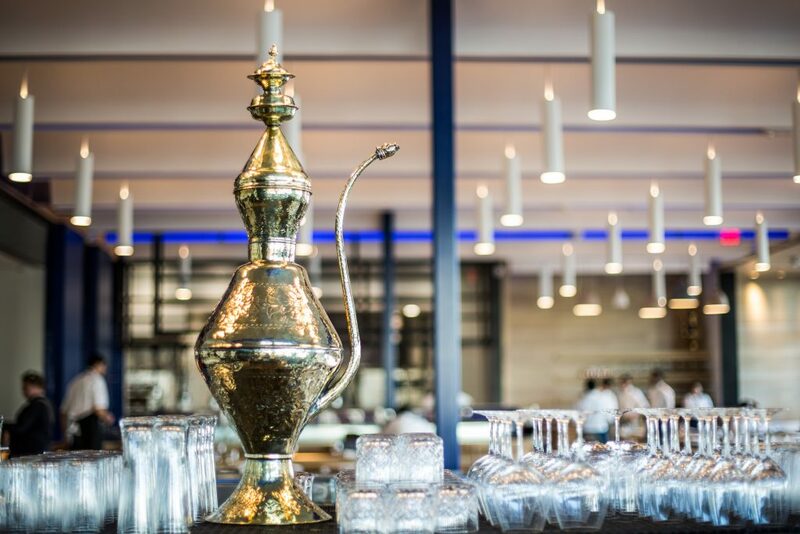 A table of guests could very easily spend hours absorbed in the menu with a paired Lebanese wine. The menu focuses on showcasing these three cuisines at their best and most iconic. As Chef Andrés explains, Turkish, Lebanese and Greek food, each with their distinct personalities, are all known for their incredibly fresh ingredients. He also likes the leisurely nature of the mezze plates, many of which can be eaten with pita bread; none of which require a knife. “You come to a restaurant, you want it to be easy,” he says. For example, the menu has three starring dips, which absolutely require bread. “I think nowhere in the world are dips loved more than in America,” Andrés muses. “People here adore dips.” Dips include: Htitipi, a decadent roasted red pepper and feta dip, Baba Ghannouge cleverly sprinkled with pomegranate seeds and hummus. Zaytinya is a natural fit for The Star. The interior beautifully evokes the Greek Isles, with authentic Mediterranean materials such as terracotta and Turkish patterns and abundant Yves Klein blue. It’s purely a coincidence that Zaytinya’s colors–predominantly blue and white–are also Cowboys colors. “Yes, we do fit in here,” he says, looking across the street at Mi Cocina’s matching blue umbrellas. But Chef Andrés chose blue long before moving to the Star. He’s fascinated by the Greek Isles, and the cuisine that evolved there. “They do a lot with very little, with whatever they have,” he explains. “It’s creative to do something with nothing.” He describes in particular, a zucchini dish he had in Santorini, simple fritters made with just zucchini and flour. He has them on his menu at Zaytinya. “Ours are very good, but I can never recreate the ones I ate in Santorini,” he admits. Zaytinya, now open for dinner (stay tuned for brunch and lunch), is certainly a breathtaking experience, one of the most unique restaurants in the area. Accept no substitutes.